I was looking for a tool to update drivers on my pc automatically as it's too much of a trouble for me to look up each and every device and search for updates on vendors' site. I used Device Doctor in the past and it was OK with XP but mostly screwed up on Windows 7. I saw an article @Lifehacker which mentioned a new beta software called SlimDrivers and decided to test it out. It found my USB card reader, Intel USB host controller, network card, GEForce 8800 GT 500 had old drivers and updated each one of them without any issues. It nicely suggest to create a Restore Point, in case you forget. It also suggests (well kinda force you) to reboot. It was not really needed in case of Network Card so, I think they are not really checking if the reboot is required. The problem started when it updated my Realtek Audio Drivers. 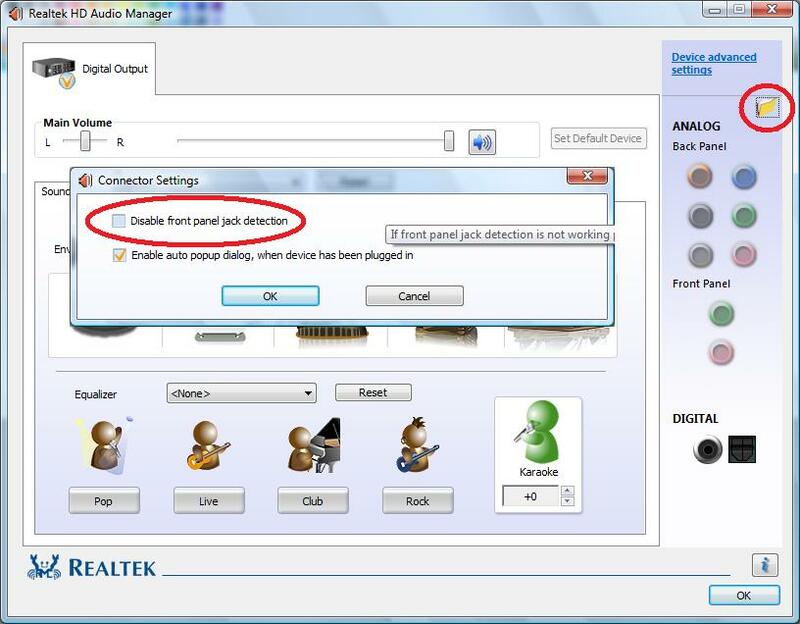 I suddenly lost the Realtek Audio Manager after the upgrade, so when I connected my headphone, for example, it would not be detected. As mine came with the Intel DG43GT motherboard, I went to intel's site and downloaded the drivers instead of rolling them back. This worked fine except that in the front of the computer it would only recognize the recording input. I found this thread @Tom's Hardware Forums where many people had the same issue. Solution was to "disable front panel jack detection". While at it, I also updated BIOS using Intel's Windows based update tool. Worked like a charm.